We’re looking forward to another exciting year featuring the finest handmade work! Make note of the dates for our Spring 2018 shows - add them to your calendar to save the date! We’ll kick off the spring season at the NJ Expo and Convention Center, our new venue in Edison, NJ. Also, our spring Chantilly show is now March 23-25! EDISON, NJ / CENTRAL NJ - NEW!! CHANTILLY, VA / NOVA / DC AREA - NEW DATES! 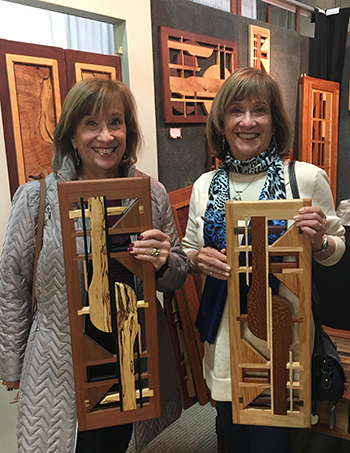 The Edison, Oaks, Chantilly and Timonium shows are all indoors - so no matter what the weather, you’ll have a great time taking in the artwork of hundreds of carefully selected artists and specialty food sellers. See live demonstrations of artists at work, sample delectable treats and enjoy live music and children’s theatre. These 3-day festivals are a treat for the entire family! If you’ve been thinking about joining Sugarloaf as an exhibitor, 2018 could be your year! The deadline for applications for our Fall 2018 shows is coming up in just a few weeks. We have 13 categories of work, including a miscellaneous category for artwork which doesn’t fit the traditional categories. Read more about our categories here. The sooner you submit your application, the better your chances of acceptance since we limit the number of artists in each category. Apply online using our convenient web form or through Zapplication. We’ll be sharing some sneak previews and featuring individual artist in future posts, so stay tuned! Finally the wrapping, traveling and holiday planning are behind us! Hopefully you’re already gathering together with family and friends, as we are too. And maybe you or someone in your brood will find some handmade art under the Christmas tree! Whether you’re the giver, the recipient (or both) of handcrafted artwork, we know you treasure our community of independent artists who make their living by making art. And we thank you for that! As the year draws to a close and we all take some time to look backwards in review and forwards in anticipation of all the good things to come, please remember that we here at Sugarloaf Crafts Festival are all extremely grateful for everyone in the Sugarloaf family! Tis the season! Support small businesses and independent artisans this holiday season at Sugarloaf Craft Festivals! At Sugarloaf Crafts Festivals every purchase benefits a small business owner in the most effective way since 100% of the proceeds of each sale goes directly to the artist. There is no cut for shareholders, advertising or legal departments! Because our artists are free to source raw materials and create according to their own standards of integrity, they often choose to source from locally and sustainable suppliers, thereby supporting other small businesses. They stake their own reputations on the quality of the materials they use and their craftsmanship. If you have any complaints about your purchase, months or even years later, you won’t deal with an automated customer service department while you try to get a warranty fulfilled. You’ll speak with the person who made the item and they’ll fix it for a nominal fee, and in some cases, for free! Small businesses like these don’t use focus groups to learn about your anxieties and fears and then use that information to market their products to you. The have a much simpler, time-honored method of customer service -- they look you in the eye and talk to you to find out what you like or don’t like. On the rare occasion that a product cracks or tears, they consider how they would feel if they were in your shoes and then come to an agreement that makes you happy! On that note, we’ve hand-picked a few artists with items that we think will make your holiday gatherings extra special. Treat your Thanksgiving guests to homemade apple pie with a little help from Brumbaugh’s Delites. 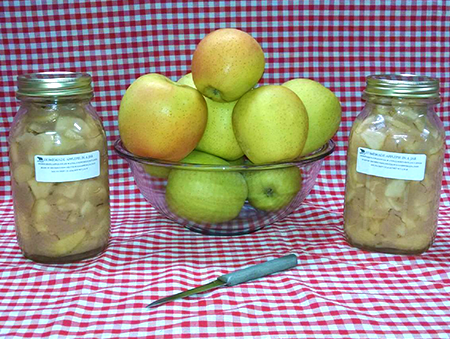 Their Apple Pies-in-a-Jar make it incredibly easy to have that fresh baked pie aroma and taste without coring a single apple. The pie mix is also fabulous served on top of pancakes, oatmeal or mixed into yogurt. They also carry Pumpkin Logs, Angel Food cakes, sweet and savory jams, pickles, relishes and fruit and vegetable butters. The best part? They grow most of the produce in their jams and pickles! 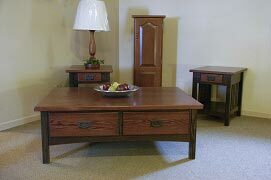 George’s Furniture adheres to a standard of craftsmanship that harkens back to the pre-industrial era. They have their own kiln to dry all the wood used in their furniture to ensure only the best quality wood is used. Upon completion, each chair or furniture piece is dated and signed by the individual craftsman who made it! Dan and Ruth Davenport, of American Forging, make attractive, functional and commemorative trays, ornaments, crosses and dozens of other items using 100% recycled aluminum. This small family business is America’s #1 producer of hand-hammered recycled aluminum gift items. If you love quilt patterns and want to enjoy them in portable forms, visit Robert Nettleton of Woodquilter. He uses multi-colored woods to create geometric designs on pins, earrings, ornaments, clocks, boxes and other items. You can add a touch of Hobbit-chic to your home decor with Keith Schoonover’s custom furniture and serving boards. Wood Eye Wood Products handcrafts end tables, dining tables, shelves, serving boards and other items with a charming rustic look that you might expect to see in a Tolkien novel. Bee a good host and treat your friends and family to Bumbleberry Farms’ Honey Cream Spreads. In four fabulous flavors - Lover’s Leap Sea Salt Caramel, Squirrel Crazy Maple, Molten Lava Spiced Chocolate and Sticky Buns Cinnamon - these delectable spreads are great on bagels, stirred into coffee or to glaze fish or poultry. Our biggest Sugarloaf Crafts Festival of the year is coming up in a few days on November 17 - 19 in Gaithersburg, MD at the Montgomery County Fairgrounds. Hundreds of handmade artists will have unique holiday decor items, gourmet specialty foods for people and pets and one-of-a-kind gifts for everyone on your list! Make it clear you know the value of a good book with one of BeeZ’s vintage book purses. Hardcover versions of Shakespeare’s Much Ado About Nothing, Alice’s Adventures in Wonderland and many other great titles are repurposed into shoulder and clutch purses, ereader jackets and other designs. Each purse comes with the original book’s pages rebound in paperback. You can make the guest of honor especially visible with a spangled tiara by Tina’s Tiaras. But they’re not just for parties. Tina Kelsey says she wears one any time she needs a little extra mojo to get through a challenging task or day. Holiday food prep and serving is so much more fun when you’re equipped with smartly designed tools. 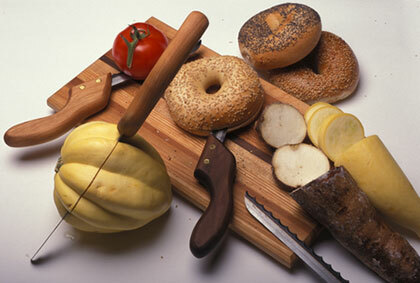 Yucandu, creator of the original Adirondack Bow Knife, makes an assortment of knives, chopping boards, bowls and more. With their knives, you’ll easily cut any bread, cheese, meat or vegetable to the exact thickness you like. Be ready for the coldest weather indoors or out with a pair of alpaca socks by Creekwater Alpacas. Softer and warmer than sheep’s wool, alpaca fiber is the ideal cold weather fabric because of it’s exceptional insulating and moisture-wicking properties. Best feature of all? No scratchy sensation! Create a warm dinnertime atmosphere with textured tablecloths by Table Traditions. Debbie Feldick makes easy care table linens that will enhance your home throughout the holidays and beyond. The enchanting landscapes of Irish castles, English cottages and Italian seasides shown in David Maynard’s photographs are welcome reminders that magical moments abound when we step back from our daily life. La Shot Photography sells images on framed canvas and gallery wraps for easy hanging. He also reproduces his images on mousepads, notecards and coasters. Great for home or office! Staying warm on cold winter days doesn’t have to require bulky layers of fabric. 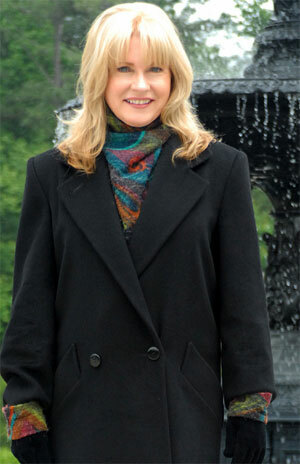 Heidi Skillman designed the 360 Scarf to your neck and upper chest warm without the hassle of 4’ of fabric! Made with mohair, silk and other fabrics, the 360 Scarf compliments your winter wardrobe and fits easily in a pocket or purse when not needed. Indulge your playful side with an animal, gnome or jester hat from The Mouse Works. Ryan Williamson uses factory remnants of warm, breathable Berber fleece to make adorable hats for children and adults. Bill Healy of Healy Glass Artistry is a master glass artisan originally from Waterford, Ireland! Together, he and his wife, Nicole, design and deliver their own collection of Celtic-themed glass work. They also do family crests on glassware and wall hangings. Give your skin the extra pampering it needs during the cold winter months. Wayne and Julia Parker of Whispering Willow Soap Company have natural, organic soaps, scrubs, moisturizers and hair care products formulated to keep your skin happy. They also make lavender and flax seeded neck pillows to help you unwind at the end of the day. All of their products are attractively packaged in eco-friendly materials. The all new Edison, New Jersey Sugarloaf Crafts Festival is this weekend, Friday, November 10th through Sunday, November 12th at the New Jersey Convention and Expo Center. This is a new location for Sugarloaf but you’ll still meet hundreds of top-notch artists ready to amaze you with their imaginative and artistic expressions in metalwork, ceramics, leather, textiles, fine art, woodturning, glass blowing and many other mediums. If you don’t have your tickets yet, we encourage you to take advantage of our discounted prices by buying online! You can also preview the show layout and Gift Guide to plan your visit. Here are 10 artists we want to make sure you don’t miss! We all hope guardian angels are watching over us and our loved ones every day. But a specially sculpted pair of angel wings on canvas or wood is an encouraging reminder during life’s tough times… or any time at all. These Angels of Heart by Kelley Bowers make great new baby and wedding gifts! Sugarloaf artists are exceptional in many ways, including in their dedication to preserving ancient art forms. 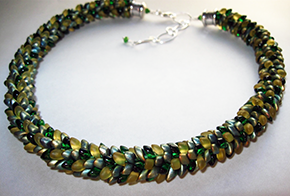 Marie Cuozzo of Bear’s Nest Studio uses the Medieval chainmaille technique in her bracelets and a 7th Century Japanese braiding technique for her necklaces! Come get a glimpse of her museum-worthy pieces. If it’s true that “We don’t remember days, we remember moments” as Cesare Pavese, what better gift for friend or family than an Artistic Collage by Raymond Mancini? Raymond carefully layers and combines multiple photos into a single visual story. These collages are a great way to tell a story without words. Icebox Jam’s low sugar freezer jam can enhance every meal and taste fantastic at any time. Mix a little of their Pumpkin Pie jam into hot coffee for a homemade pumpkin latte. Stir some Plum Raspberry Jam into some hot tea and turn on a period drama. They’re also great as meat glazes, added to oatmeal or yogurt. Strong fruit flavors but not a lot of sugar. Be sure to try a few samples and let Icebox share their serving suggestions with you! Find charming ceramic items with Jewish and secular themes by Olga Goldin of Gold’n Ceramics. Olga specializes in traditional Jewish ceramics, such as menorahs, dreidels, seder sets and other items. She also creates home decor items such as mirrors, vases, teapots, candlesticks and amusing sculptures. Olga finishes each handpainted piece with her trademark 24K gold accent. Cold winter days find many of us wanting to stay indoors curled up with a warm blanket. Nanako Clothes makes soft, plush blanket coats that you’ll want to show off! 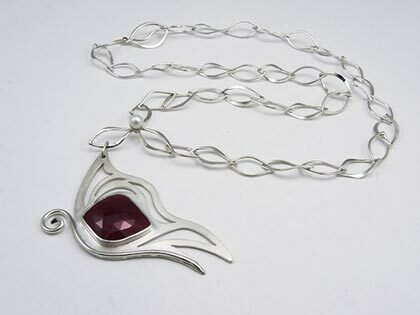 Her free-flowing, versatile designs are flattering to women in every age bracket. Do you walk around on cold days with your head uncovered because you ‘don’t like hats’? If this is you, take a look at some of the non-traditional hats by Ossi Rioux. Ossi fashions one-of-a-kind wool, cotton, velvet, satin and silk hats using her own millinery techniques. Anytime is tea time with Carlos Silva’s colorful teacup clocks. On these shadowbox timepieces, each hour is indicated with a carefully crafted miniature teacup, teapot or other kitchenware. If humans like gifts, it stands to reason that our four-legged friends do too! And really, who’s more grateful than our dogs? Your dog already thinks you’re amazing. But that doesn’t mean you shouldn’t earn his appreciation once in awhile. Some long-lasting dog chews by Acadia Antlers will keep your pup’s tail wagging for a very long time. Acadia’s dog treats are made from naturally shed Maine moose antlers. These treats are non-splintering, they’re rich in calcium and they’ll help keep your dog’s teeth clean too! Proving that great wall art comes in many forms, Hollie Graze of Mollycat Mosaics creates delightful figurative and patterned mosaic wall art, framed mirrors and 3D sculptures using tile and glass. Get a close up look at how she uses glass, beads and shells to create the appearance of fur or fabric! What’s in store for Sugarloaf Crafts Festival in Oaks, PA on November 3 - 5? With hundreds of artists from all around the country, you’ll find an abundance of expertly handcrafted functional and decorative items for your home, your wardrobe and daily life. You can dress like the stars! Sharon London Designs’ eco-conscious apparel is favored by Brooke Shields, musicians Amanda Palmer and Nora Jones and other television and film stars. Their dresses, capes and shawls made with Italian knits, organic cottons, wool and bamboo feel great next to your skin and are suitable for casual, business and formal occasions. Mercedes Sherwood Designs features cross body clutch womens’ purses made from vintage barkcloth fabric. This upholstery weight material was popular from the 1930s to 1950’s and uses bright florals, regional scenes and geometric patterns. The bags are available as shoulder bags, traditional clutch purses and mini purses. 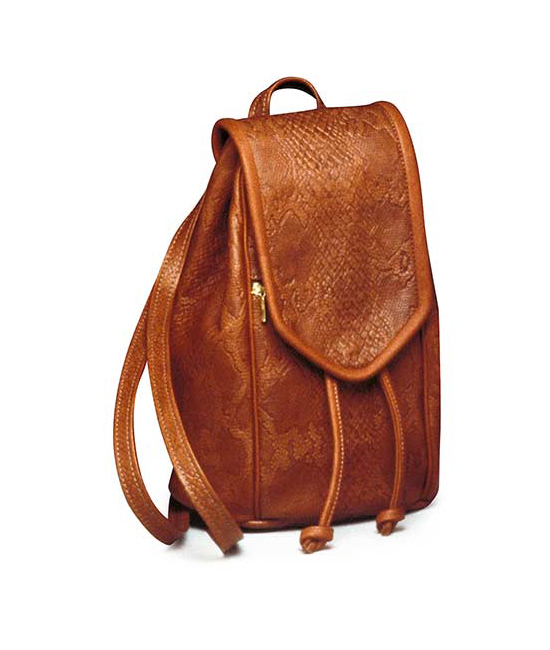 All can be worn as crossbody bags, while the smaller ones can use just a wrist strap. Kool Kombz hair accessories have the perfect solution for the woman who wants a great hairdo without a lot of fuss. Their jeweled bun and ponytail holders clip in place easily and they’re comfortable to wear from the yoga studio to formal events. Made with rubber combs, durable elastic and accented with beads and Swarovski crystals, they work well with thick or thin hair. Complete your outfit with one-of-a-kind sterling silver, 14K, 18K or platinum earrings, necklaces or bangles by Judi Powers Jewelry. Her designs are inspired by her own childhood memories, the natural world and Buddhist architecture. In the jewelry industry, she’s known for her sustainable and ethical sourcing practices. Winter time means dry skin for many of us. Hand and body lotions by Pretty Baby Naturals will prevent dry, cracked skin without leaving any greasy sheen. 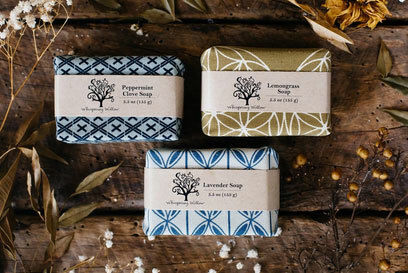 This company of fourth and fifth generation soap makers has cruelty-free, long lasting soaps, lotions, powders, oils and other items to keep you soft and silky all winter long. All Pretty Baby Naturals products are water, plant and vegetable-based. Check out their gift sets tailored for ladies, men, infants and pets. 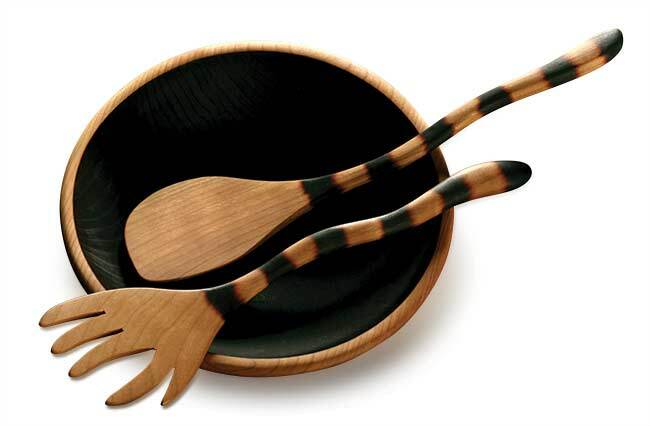 l&m studio crafts artfully designed pottery items for humans, birds and plants. This award winning design studio features diningware, birdhouses and plants made by potter, Meg Oliver, and sculptor, Lucie Piedra. Their creations are easy to clean and handle and visually surprising. Whether it feels like time is flying by or crawling slowly along, it’s never dreary or boring with David Scherer’s table and wall clocks. Each clock is an explosion of color, energy and fun! You may use the latest phone for music and sports audio, but you can still enjoy the look, feel and sound of yesteryear with ReAcoustic’s 1920’s style gramophone speakers. Made with vintage gramophone horns mounted on a wooden base, these speakers will create the ambience of a simpler era. 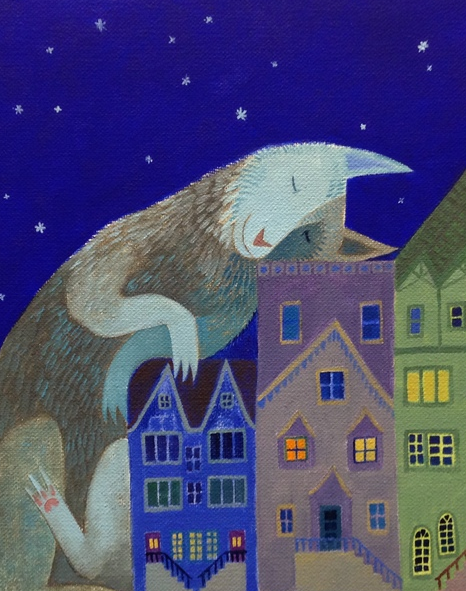 Any room in your home or office will be more inviting with one of Tracy Lizotte’s whimsical watercolor paintings. Her paintings are inspired by the mischievous activities of her four children, pets and wildlife around her home studio in Maine. Delight the chocolate lovers in your life (or treat yourself!) with a selection of artisan chocolate by Chocolate Moonshine. This small batch chocolatier makes low-sugar, gluten-free chocolate bars in 39 flavors. Put together your own 4, 10 or 20 piece package. If fudge is more your flavor, theirs is a must try! Their small batch gourmet fudge comes in 30 flavors and was voted America’s Best Fudge! These are just a few of the many impressive artists participating at our Oaks show. With November just around the corner, you’re probably already planning your holiday gatherings and putting your gift list together. A trip to any of the fall Sugarloaf Craft Festivals will simplify your party planning and gift giving efforts immensely! Among our hundreds of talented artists, we have dozens of specialty food crafters with fabulous mixes, spreads, sauces and sweet treats to entice partygoers. Our talented potters craft imaginative hand thrown and hand painted tableware to grace your holiday table. And our clothing designers and jewelry makers create unique wearable art perfect for the holiday season! 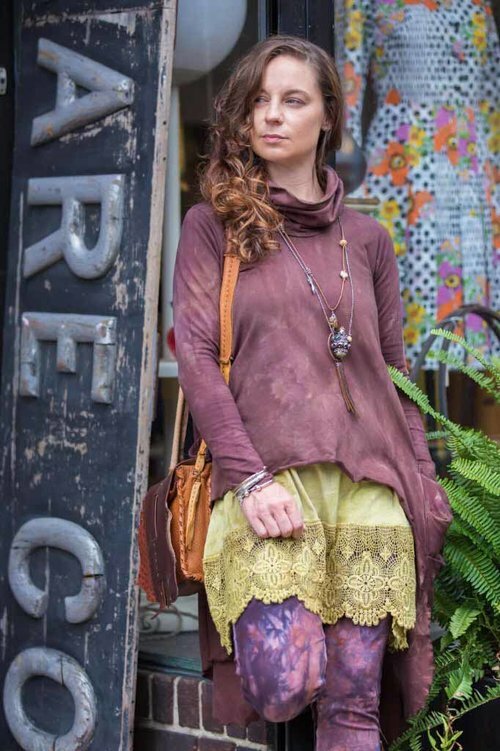 Steel Pony clothing designers use 100% eco-friendly processes, fabrics and dyes in all their women’s apparel and handbags. Their company is centered around the goal of making clothing from fabric that is knit, dyed and sewn entirely in the United States and with the lowest possible environmental impact. Exquisitely crafted wooden cheeseboards, salad bowls, wine displays, candle holders and other kitchen accessories by Trees to Dreams will enhance any holiday gathering. Tommy Laraia of Tommy Conch Designs creates one of a kind jewelry pieces that interweave art, history and nature. Using repurposed and found items, Tommy Conch combines contemporary and vintage elements to create remarkable looking necklaces, earrings, bracelets and rings. After fighting her own wardrobe battles for years, Joan Ecker of F.H. Clothing Co. decided women deserve clothing that “loves you just the way you are.” To that end, she’s spent the last 35 years making soft, easy to wear clothes for women. Choose from wide-legged slacks, pencil pants and streamlined figure flattering leggings, tunics and roomy tops made from soft poly/cotton blends. The fine art photography of Through the Eyes of David is printed directly on canvas gallery wraps so they’re ready to hang as is, no frame needed. Photographer, David Micelotta, specializes in shots of wildlife, nature scenes, and cityscapes. Add a small dose of personality to every room of your home with Tassels by Sewkaren. Karen Acciani adorns salt and pepper shakers with fringe, pendants, feathers and beaded trim to create ‘household jewelry’ for light fixtures, doorknobs and mirrors. Linda Doucette of Shades of Nature crafts plant and animal fibers into beautiful pillows and small animal sculptures. She creates on her small Pennsylvania farm surrounded by the animals and garden that provide the natural fibers and plant dyes to support her art. Hudson River Inlay creates museum quality mirrors and furniture with a dozen or more species and colors of wood in each piece. They use an ancient technique called marquetry to create decorative patterns in furniture or on other surfaces from small pieces of wood and other materials. Their finished pieces have the look of fine art paintings made with fine wood, stones and shells instead of paint. Enjoy a less serious take on human and animal behavior with the whimsical cartoon illustrations of John DeAmicis. Some pretty big names have already bought his work, including Elton John, Shirley Maclaine, Mikhail Baryshnikov, Luciano Pavarotti and Henry Kissinger. Hailey Banda ceramics will enhance any gathering. Hailey crafts her handpainted mugs, vases and planters with the idea of creating a warm, comforting environment. Hopefully these snapshots have sparked some ideas to get you started. And there are many more fabulous handmade artisans at each show. Whether this is your first Sugarloaf Crafts Festival or you’ve attended many shows already, there is a lot to see. We thought we’d highlight a handful of interesting and fun artisans to get you off to a good start! Make your time in the kitchen just a little more pleasurable with high quality kitchen utensils by Jonathan’s Spoons. These spoons are designed with function and beauty in mind - made from exotic woods and meant to last a very long time. Many have notches carved into the handle so you can rest the spoon on the side of the pan. Jonathan’s wooden serving tongs fold flat for storage so they slide easily into a drawer. Mark Mowen of Mowen Leather Designs creates drum dyed leather purses, clutch bags and wallets from a variety of textured and non-textured leathers including cow, ostrich and alligator. He has recently added items made with eco-friendly tanned leathers which are especially color rich and soft to the touch. 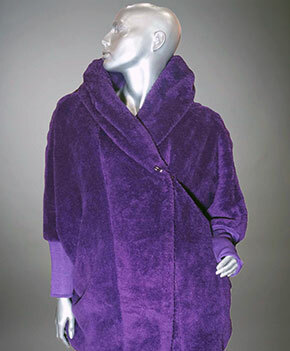 As the weather turns colder, stay warm and dry with felted wool coats, jackets, shawls and hats by Cindy Anne Creations. 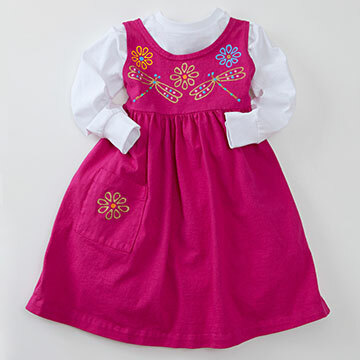 Cindy’s imaginative designs and textured wools will brighten the grayest and coldest winter day! A party costume is always at hand with a pair of clip on animal ears by Kritter Clips. Not just for children, these faux fur accessories can hide in your purse or pocket when not in use. When you’re ready to unleash your inner animal, they snap on in seconds. Elaine Thompson’s fine art paintings and prints reveal wolves, deer and other wildlife having a heck of a time in storybook fashion. She’s got Busking Huskies strumming guitar and playing the drums and a pair of Shimmying Sheep dancing in the moonlight. You’ll find it easy to eat more veggies using the recipes from Berkshire Sweet Gold Maple Farm. This family run farm in Heath, Massachusetts produces light, medium, dark and black gold maple syrup. They provide dozens of recipes for using their syrup in desserts, but also in veggie, meat and fish-centered dishes. Warm beverages can be sweetened with pure maple syrup instead of refined sugar. If you or someone you know is the kind of sports fan who lives for the next game, check out these 3D replicas of famous ballparks and stadiums by Home Fields. Chris Skovira and Ken Small create 120 different ball fields and stadiums in 3D, complete with floodlights and a detailed history of each venue. Perhaps you’d like to travel more? Check out Mark Miller’s Fine Art photographs of iconic images like the Eiffel Tower, Amsterdam’s canals and vast Alaskan landscapes. His photos are reproduced on canvas and as glossy aluminum prints with an attached floating frame. Despite the wonders of technology, we often do our best creating offline, with pen and paper. Evergreen Mountain Pens makes elegant ballpoint, roller ball and fountain pens as well as mechanical and sketch pencils. Their pens are true conversation pieces incorporating many non-traditional materials like recycled watch parts and antler wood! Since the company is based in Santa Claus, Indiana, you can honestly say Christmas gifts from Evergreen Mountain Pens came straight from Santa Claus! We can’t wait to see you at our fall Sugarloaf Craft Festivals! Live art demonstrations are featured at every Sugarloaf Craft Festivals. Learn how art is made. Plus, plan your trip, buy tickets and get directions. We can't wait to see you soon! Freshen up your fall wardrobe at Sugarloaf Craft Festivals. Check out some of the clothing and accessories you'll be sure to love! Get a preview of some of the great new artists joining the Sugarloaf Crafts Festival Fall Tour. Read on for more. Where Do Sugarloaf Artists Come From? Near and Far! Sugarloaf's artists hail from near and far. Read on to learn more! What Do Shoppers Say About Sugarloaf? Read why your friends love Sugarloaf Craft Festivals! Q & A with Lucy’s Toys - Meet Lucy Moore! 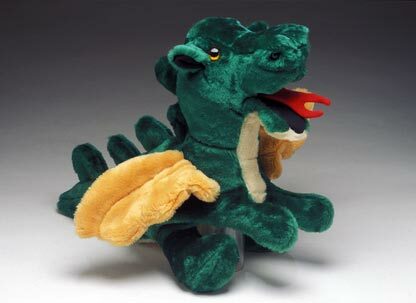 Learn more about how Lucy Moore creates joy and delight with her handmade soft toys! Learn how Lynn and Alan Fleigel wound their way as artists from SoHo to Sugarloaf Craft Festivals. Meet them this fall!